There are 26 Open Homes this Sunday. Pictured above is our third quarter market report. Teamwork is everything and we are honored to remain the leading brokerage in Greenwich, thanks to our world-class agents, innovative marketing strategies, and having you, our community, as part of the team as well. Home sales in Greenwich rose an impressive 26% in the third quarter as sellers adjusted to market conditions prompting value oriented buyers to make their moves. The good news is that there are many potential home buyers that would like to buy homes in our community, including those looking to move out of New York City. But the market in NYC has been soft, and those that own co-ops and condos are having trouble selling their properties for the prices they expect. The softness in the New York City market is causing buyers to delay buying homes in Greenwich. Higher interest rates are also a factor that creates a need for a more strategic approach. The average rate on a 30-year mortgage recently crossed the 5 percent mark. Buying a home is getting more expensive as rates rise. For first time home buyers, a slight increase in rates, even as they remain at historically low levels, often creates hesitation and doubt. But smart buyers also realize that waiting to buy a home could make that interest rate impact even more costly, because the trend remains upward. In the past, sellers could throw out a high price initially to test the upside potential of the market. The risk was only that the price would have to be lowered. But given the unique challenges of this market, it is not advisable to 'fish' for an unrealistic price. Missing the opportunities tied to the initial listing price could have long term consequences. Our team approach, which includes thoughtful value-driven pricing is working. Buyers do make deals when they see the homes they want, in the new or the like new condition they require. Sellers that understand that, and get their properties priced right and in the right condition are positioned to win. Despite all the challenges out there, Greater Greenwich home sales rose in the third quarter, while average prices declined. We are also feeling an uptick of new energy in the marketplace as we enter the final quarter of 2018. 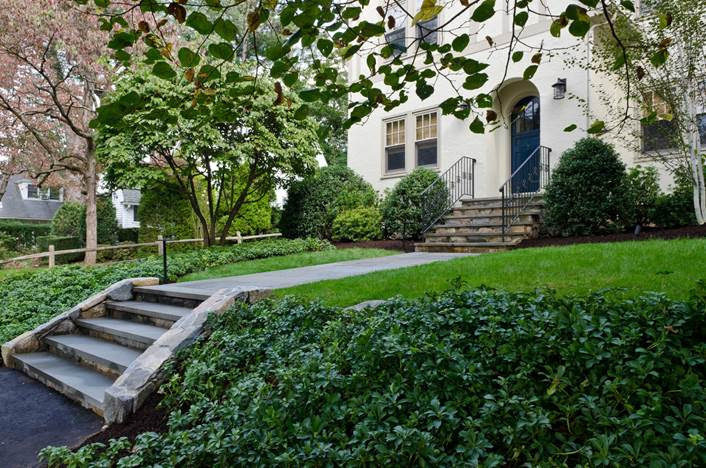 Greenwich North of the Parkway presented opportunity for savvy buyers. Declining prices lifted sales. This year, sales in the $3M-$4M range here have surged an impressive 133%. Buyers are prioritizing being close to schools, Greenwich Avenue, and the train to New York City. That helped drive impressive gains in home sales South of the Parkway. More affordable homes encouraged deals, as both average and median prices declined. Greenwich South of Post Road, despite its proximity to the water, saw a decline in overall home sales with properties taking longer to sell. One bright spot, when homes did sell, the price was closer to the asking price than last year. Affordability drove the biggest uptick in home sales in the Cos Cob section of town. The strong demand resulted in higher prices, presenting a winning combination for sellers who got on board with value pricing. Riverside, which offers a prime commuting location near the train to New York City and to schools, was the only other neighborhood to experience the sellers win-win scenario of rising home sales and prices. Homes sold quickly, with the shortest days on market in town. On average smart sellers waited only 113 days for a deal this past quarter. 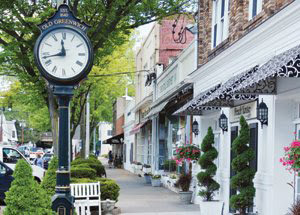 For residents of Old Greenwich, buyers very much want to be part of the community and sales picked up last quarter. The area's 148-acre waterfront park, its beaches, yacht club, along with shopping and dining, draw in buyers. But the market remains challenging in terms of prices, and to get the higher sales, prices dropped compared to last year. The condo market is also facing challenges. But when properties do sell, deals are being made closer to the asking price. That is a sign that sellers are coming to an understanding that pricing a property correctly will lead to sales. The conversation is becoming increasingly focused on the continued rise in interest rates and the impact it is having on affordability. While this is not something that can be controlled, we can work together to manage the best approach. Buyers must be aware that time is no longer on their side. Sitting on the sidelines is getting more and more expensive. A slight increase in a mortgage rate can have a meaningful impact on monthly payments, and could place a desired property out of their budget. Sellers are facing a challenging situation. Holding on to unrealistic prices is a risk that could result in an unsold home. Buyers that would be looking at their home may have to adjust their search to more value priced properties, leaving sellers with few options. We hope, and expect, the result will be a balanced and more active market. Smart sellers will become more comfortable with value pricing and get deals done. Buyers will realize that with rates moving higher, they must move forward to lock in their new homes, and the still-historically low mortgage rates. This is a challenging but potentially an exciting time. We're glad to be on your team. There are 90 Open Homes this Sunday. There are 108 Open Homes this Sunday. PRIVATE- NON-MLS LISTING. Lindsay Sheehy and myself are very excited to represent the sellers of the beautifully pictured above 7 Perryridge Road. Location, Location Location! Recently reovated charming in-town five bedroom tudor on a beautiful tree lined street. Remodeled kitchen opens into sun filled family room with grand fireplace. There are five bedrooms and two full baths upstairs, with an au paire suite and cozy wine cellar in lower level. Stunning gardens with level yard. Convenient to all that Greenwich has to offer yet quiet and private. Detached two car garage with storage above. North Street School district. This home has five bedrooms and two full baths with over 3,000 s.f. of living space. Completely renovated and shows beautifully. Be one of the few to be able to view by calling myself at 203-273-1034. 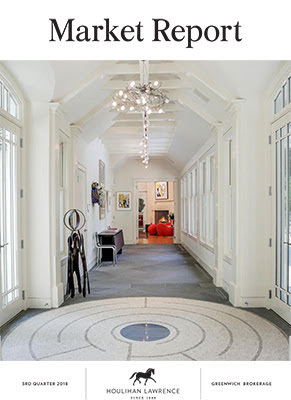 The list price is $2.695M. This property does not have an open house this weekend. However I will be at one of my other listings, 33 Butler Street from 1-4 p.m.
Below are the 88 Open Homes for Sunday.